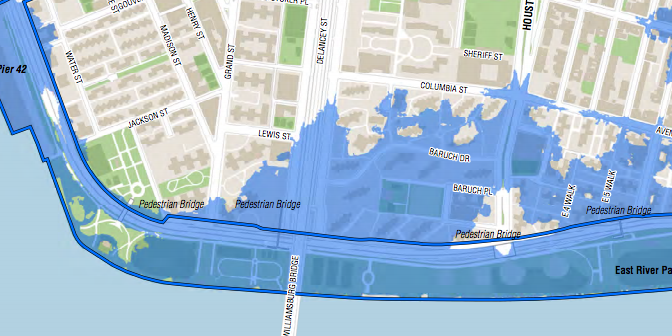 Next up for East River storm surge project: public comments tonight at Bard H.S. Extent of flooding during Hurricane Sandy in 2012. This meeting is called a public scoping, which means the public gets to comment on a draft scope of work document that will then influence the environmental impact review that will have to be done on a project like this. That draft scope of work document is long and dense and can be found online here. If you can’t make it in person tonight, you can also email comments to escr@parks.nyc.gov. Previous PostIncumbent slate wins big in board electionNext PostSatirist attacks! !